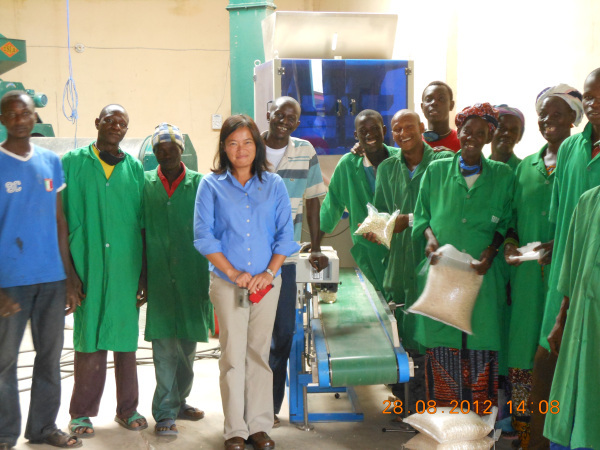 Volunteer Stella Salvo traveled from Wisconsin to Mali to work with local seed producers, farmers, and researchers to provide training on the development of hybrid seeds which can significantly increase crop yields. This kind of activity is so important in a country that suffers from high incidence of malnutrition, poverty, and drought. Stella’s assignment was so successful, she caught the ear of a local newspaper in Bamako, L’Essor Quotidien, which featured a story on her assignment, recognizing that her efforts can enable thousands of Malian families to access seeds that sprout more food, more income, and a better future. Winrock Farmer-to-Farmer volunteers are leaving a big impact all around the world.